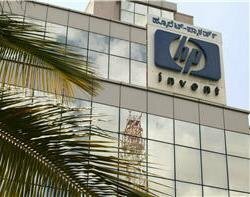 HP workers have suspended planned industrial action pending further talks with the company on 22 January. HP workers have suspended planned industrial action pending further talks with the company on 22 January 2010. The original plan was to strike on 10 December, but an 11th hour agreement saw this postponed and further talks were held yesterday between HP and members of the Public and Commercial Services Union (PCS). The PCS said, "The union wants HP to recognise the value of our members. We remain keen to find a negotiable outcome." Many of the workers involved, of which there are up to 1,000, are at Department of Work & Pensions sites across the UK. Following yesterday's meetings and an offer on the table from HP, a series of meetings were held today to decide whether to strike or postpone action.